Reiki Energy flows through all of us, it is the Energy of living. We all have the potential to be a healer. With the help of a Reiki teacher we can learn to tap into that Energy & share with others for purpose of healing. Reiki is an ancient gift that can be shared with all people regardless of colour, creed or financial status. As a Reiki Master I have the responsibility and pleasure of sharing and teaching. I run Reiki courses (Levels I, II & Masters) according to demand. I encourage my students to follow their intuitive selves whilst using and honouring the sacred symbols. Maybe you would like to come and share this wonderful, powerful gift. My fees are very reasonable & do not reflect the quality of teaching but rather, are intended to put this gift within the reach of everyone. All private healings are on a donation basis only. Reiki (ray-key) is a natural healing technique that uses the laying-on of hands. Reiki is thought to have originated thousands of years ago in Tibet, being rediscovered by Dr. Mikao Usui, a Japanese Buddhist monk, in the 1800's. A standard treatment includes placing the hands on positions around the head, shoulders, stomach, and feet. In addition, the practitioner may use other positions for specific concerns the client may have. Each position is held for between five and ten minutes and the entire treatment lasts between 45 minutes to an hour and a half. A treatment is deeply relaxing and benefits both the client and the practitioner. The word Reiki is made up of two Japanese words - Rei and Ki. Rei means supernatural force or spiritual intelligence, Ki means life energy. Reiki means spiritually guided life force energy. Through personal experience I have total empathy with women who are or have been in an abusive situation. Because I have 'been there, done that' I can honestly advise of a better Pathway to follow. Also from personal experience I offer comfort to all parents who have lost children. Having been in that situation myself I understand only too well your pain. I must emphasize that I do not have formal training in these areas but life has taught me many lessons. "I do not know whether I was then a man dreaming I was a butterfly, or whether I am now a butterfly dreaming I am a man. " of music uniting us all. There are too many crystals to list here but they are Mother Earth's gift to us. 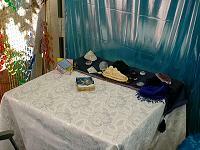 They are very effective together with Reiki or by themselves as a healing tool. Crystals can be used on the physical body as well as the Spiritual. Crystals can also be used on the Chakras of which there are 7 main points. Each Chakra has a color linked to the rainbow, ie, base chakra = red, sacral = orange etc. By using the corresponding color of the crystal a healing can be done very effectively. Crystals certainly have a very special place in my heart and I use them often. Chakra Balancing helps to restore inner calm and balance, while energizing and connecting yourself with your Self. Chakra Balancing is a gentle experience that opens and blends the energy centers to find a natural point of balanced alignment. Chakra is a Sanskrit word meaning 'wheel' or 'vortex'. When speaking of the Chakras in the human body, they are referring to subtle energy centers. The most important Chakras are the 7 main centers located on the trunk of the body, and for the healer, the Chakras on the palms of the hands. The 7 major Chakras, act as receivers or transmitters for subtle energies. Each Chakra functions on physical, emotional, and spiritual levels. Maintaining chakra balance is a very important form of preventative medicine and can easily be incorporated into anyone's health program. The willingness of the client to surrender to the Divine, to ask Spirit for assistance and to willingly release and receive, is paramount to allowing Spirit to work. This is another method I use to balance the physical and spiritual bodies. Used by the Tibetan monks for centuries "singing the bowl" is a wonderful experience. Some people see a lot of color, others just totally relaxed and let go of all their stress. People with psychic abilities often have visions/sensations that heightens their perceptions of spirituality. Tibetan singing bowls are traditionally constructed of a 7 metal alloy, said to include gold, silver, copper, iron, lead, tin, and mercury. Though specific historical records are absent, the metallurgical techniques necessary for making the bowls existed in Asia as early as 2500 years ago. The bowls have been used in many traditions, though the exact ritual context is often obscure. However, the use of bells, cymbols and similar instruments in meditative practices is common, and it is probable that the singing bowls were used in a similar manner. Both Buddhism and Hinduism include ideas of the role of sound and vibration in trance and transformation, as do other religions. 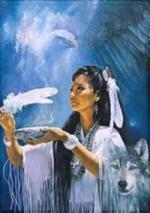 The notion that sound and vibration affect consciousness is also widespread and forms the basis for the ritual use of drums and other instruments in shamanic religions. Certain sounds are used as therapy in many cultures, especially when someone is seen as out of balance or having lost his natural internal rhythm. Today, singing bowls are most often used as meditation aids. However, anyone can benefit from the relaxing, soothing effects of the sounds produced. Many people are also mysteriously drawn to the sounds and find them fascinating regardless of any spiritual connections. According to the Tibetan Mahayana tradition, there have been many Buddhas in the past, and many more to come in the future. The next coming Buddha is known as "Maitreya". It is interesting to note that one translation of the name Maitreya is "harmonic resonance". I use a variety of cards. The Fairy Cards from Doreen Virtue are my favourite. They give a gentle reading but if needed they can be very 'in your face'. Of course as a clairvoyant I also receive messages directly from the Higher Power. Cards are quite often simply a 'tool' to tune into a persons energy. Beside cards I also read photographs, aura photos, jewellery, almost anything that belongs to you. I have spent many years building my reputation as an ethical, honest reader and I offer you a genuine service at a reasonable price. The Tarot is an ancient oracle, consisting of 78 cards with symbolic images. The symbolism in the cards is essential to reach your subconsciousness. Images, not words, are the language of the knowledge that comes to us in meditation, dreams, clairvoyance and intuitive insights. The Tarot cards form a book of inner wisdom. Card Reading can be used to develop more insight about yourself, to receive guidance and advice, to find answers on personal or practical issues. It is not possible to predict with 100% accuracy your future with the cards, simply because the future is not an absolute deal, but a developing process influenced by our collective thoughts and actions. This also means that it is very well possible to change or avoid unfavourable future events by following the guidance of the Tarot. Numerology is the ancient and revealing science of numbers. 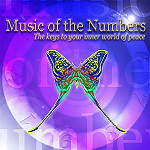 Each number is a symbol for an energy force that has distinct traits. Numerology is a study of the numbers to which an individual most strongly responds, and the interrelationship of these numbers. Your name and birth date is a code for your life. Generally, numerologists deal with single digit numbers, by reducing (adding together) the numbers to a single digit.